Over the past year, we have always heard about rumours about the Windows Core operating system. As Microsoft continues to build this platform, the details of this secret project are gradually exposed, such as what it includes and how Microsoft locates it. Microsoft is accelerating the launch of a new platform built internally, but the company failed to hide all the details in the process. Microsoft is developing a new version of the Windows operating system, but it can’t actually be called Windows. This system is currently called Windows Lite, based on the documentation in the latest version, I can confirm that it is for countering Chrome’s operating system dominance. In fact, there are tags in the latest versions of internal builds and SDKs that can help us understand the direction of this operating system. If you’ve heard of Lite before, it sounds a lot like Windows 10 S and RT. Windows 10 Lite only runs PWA and UWP applications and does not run any other programs. This ultimately makes it a truly lightweight version of Windows, not just the name. Lite is not an operating system that can run in an enterprise or even a small business environment. I don’t think ordinary users can “buy” it. OEMs may be its only target. The reason Microsoft had to shut down Windows 10 S was to give way to this appearance of Windows. 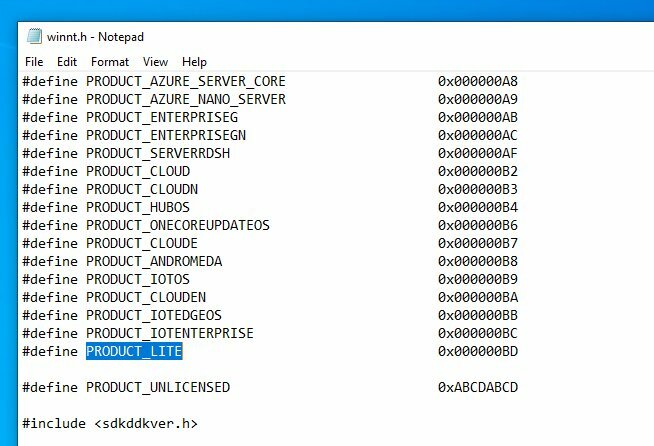 The goal of Windows Lite is to make it ultra-lightweight, instant-on, always connected, and run on any type of CPU. Qualcomm will release a new generation of Opteron chips this week, and its performance running Windows will be significantly better than the Opteron 835, which is expected to power many of the first devices running new operating systems.